an ordinate shutdown sequence can be started pulling an arbitrary GPIO to low if the DT overlay gpio-shutdown is enabled within /boot/config.txt. If no pin is specified, default is GPIO 3. 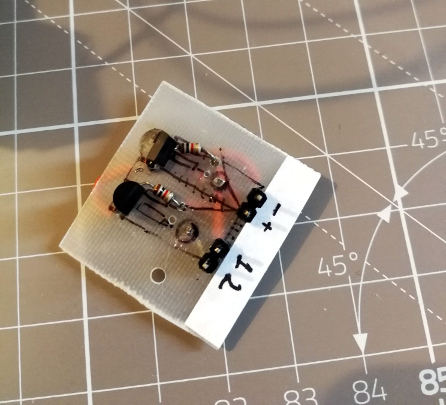 Given this, mounting a normally open push button between GPIO 3 and ground should do the trick unless you’re using the I2C bus: GPIO 3 is the predefined I2C clock line and is configured as an output, so when the PI is running pulling it low doesn’t have the desired effect…you have to explicitly use another pin by specifying it into the overlay params. Needless to say, I use I2C to drive both the audio board and the LCD display. 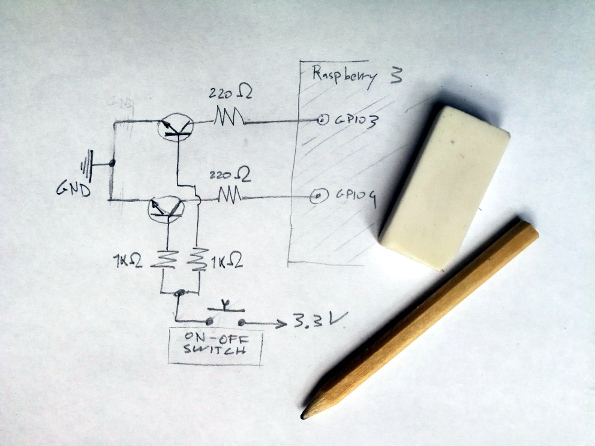 This way I can use GPIO 4 to shutdown and GPIO 3 to wake up, but I still want a single button, not two…but an idea began to take shape. The Raspberry is running. GPIO 4 on low cause the start of the ordinate shutdown procedure. GPIO 3 on low is ignored by the board..remember that on my system GPIO 3 is the I2C clock. Pulling low the clock line could have some impact on connected I2C devices, but I’m not sending any data, so I think it’ definitely not relevant. The Raspberry is in a halted state: GPIO 3 on low cause the start of the boot sequence. GPIO 4 on low is ignored. Now I can wake up and shutdown the board using one button only: mission accomplished (hopefully). I know it lacks a debouncing circuit, but it will be soon replaced with something more ‘stylish’….stay tuned!